You may wish to consider reading this novel if for no other reason than the fact that its story keeps getting more real each day. First, there was the Russian spy ring that was uncanny in the way they hid in plain view for decades, just like the fictional spies in Falling Star which was written over twenty years ago (and released on Amazon in response to the news in 2010). Second, the novel is about large mysterious objects accidentally discovered deep in the ocean. Recently, Swedish explorers found such an object deep in the Baltic Sea. And now comes news of a third amazing life imitates art situation. As readers of the novel are aware, the principal character is a member of a super secret governmental agency called CSAC which draws its forces from the most elite military forces in the nation. The charter for CSAC is to do the things that other agencies of the government cannot or will not do. Its agents have the power to terminate situations with extreme prejudice. One of CSAC’s primary missions is to deal with the mysterious objects in the ocean. Fiction, right? A very realistic science fiction thriller the accidental discovery of mysterious, but mute, objects in the ocean in 1967 and what happened when they woke up in 1993 and began sending signals to outer space. Mike, pulled back into a clandestine agency to finish the job he began over twenty-three years ago as a. navy ensign , is strangely attacked by gangs of what look like ordinary Americans. Attacks he can handle, but he is shaken when he learns that a revered friend has died. Will the death of Mike’s friend mean that the secret of these mysterious objects will be locked forever in the dark ocean bottom? 47 four and five star reviews on Amazon US and UK. 98,250+ words. Many more on other platforms. 354 pages. 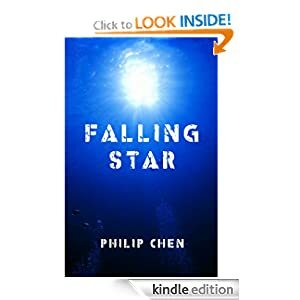 Get it before it becomes nonfiction or is taken away by Men in Black, just as a memorandum that author Phil Chen had prepared as a young ocean research engineer was in 1970. As he tells it, four huge men dressed in black suits, white shirts, and dark ties showed up in his cubicle at the ocean research center where he worked. The men demanded all the drafts, drawings, notes, calculations, photos and anything else related to a memorandum that he had completed the previous day. When he asked why, the reply was that Phil was not cleared to read it. When Phil protested that he had written it, the men were not amused. The real-life equivalent to the flashing light in your eyes at that time was a fine of $50,000 and twenty years at Club Fed. Phil forgot he had written that memo real fast, really fast. Thereafter, he started stamping his memos “DBR” for destroy before reading. His supervisors were not amused. They started processing Phil for even higher clearances, which of course carried higher fines and longer vacations at Club Fed. That is even brighter flashing lights. That is when Phil left dark operations for the daylight. Too bad, it was extraordinarily interesting work, stuff that he cannot talk about to this day. Pick up Falling Star here!